Who wants to 'experience Colgate'? No one. But would experiencing the dentists chair a few more times get me to take better care of my teeth - yes. I want to immerse myself in narratives, not brands. I want to be able to see for myself a story unfold rather than be told about it. It's in this desire for for first hand experience that the opportunity for VR in marketing exists. I ask you, what would be more powerful, to be told how bad the plight of refugees crossing the Mediterranean is or to spend a brief moment living the horror story for yourself? Charities have already cottoned onto the fact that a clipboard and a charming smile is not enough to encourage citizens to handover their hard earned money. They need a jolt to the system, an emotive connection. VR can offer that. As we see the technology become more pervasive (some expect the market to grow from $7bn to $75bn by 2021), more organisations will be turning to it to provide holistic experiences to customers. 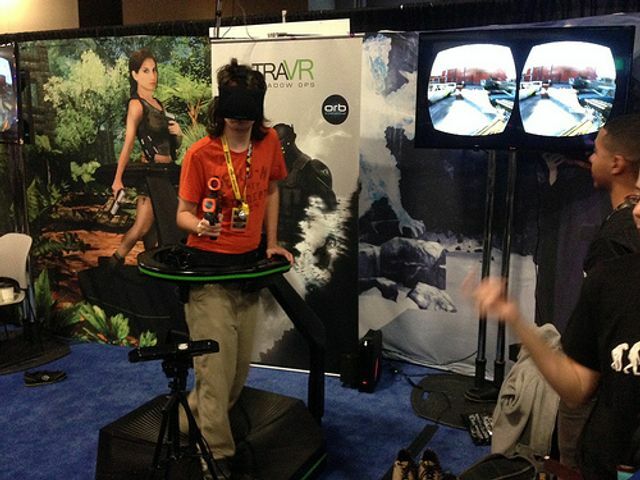 They hype may feel all a bit too much, some may even say that VR has stalled a touch. But it's too important to just disappear and smart CMOs will already be building out strategies to utilise the technology and build out experiences that go way beyond the brand. The biggest "aha" with VR, unlike any other type of story experience -- and I'm talking about campfire, movie, book, whatever -- is this is not about story telling. It's about story living.